Aging sports fans and changing consumer habits have sports franchises facing an uphill battle to grow revenue even as costs continue to rise. Amid aging sports fans and changing consumer habits, sports franchises have to change the way they think about fan engagement. This is no longer the case. Die-hard fans are aging, and their children have a much broader array of entertainment options from which to choose — options that cost significantly less and won’t trap them in an arena for three to four hours with boiled hot dogs, warm beer and expensive merchandise. Yet sport franchises remain stubbornly resistant to the changes that are happening around them. As their fan base flatlines or shrinks, revenues stagnate and costs keep rising, they continue to stick to their traditional business models in the hope that shiny new stadiums, better food and free wifi will create enough of a differentiating experience to engage a younger generation of fans. This kind of thinking betrays a stark reality that many sports franchises don’t know what they don’t know about their fans. Without knowing who they are, how old they are, where they live, how much disposable income they have to spend, what kind of experience they want, and what it will take to grab their attention and keep them engaged from one season to the next, it is increasingly difficult to find revenue growth. If sports franchises fail to learn who their fans are and what they want, they’ll be left with a withering sport, a rise in payroll and an empty arena. There are two critical data points sports franchises need to urgently understand: who their fans are and what they want. If they don’t, they will struggle to tailor products and experiences to evolving fan demands and their base will continue to shrink. Right now, most sports franchises use fragmented, siloed systems to track different aspects of the data they collect, creating an incomplete picture of their fans. Without creating a single version of the truth that tracks all fan interactions, clubs can’t create personalized, engaging experiences. And without personalized, engaging experiences to offer, fans will opt to spend their money on entertainment elsewhere — likely on a device, in their own home, on-demand, and in 10- to 15-minute increments, all for a fraction of the cost of attending a game. The more known fans a sports franchise has, and the younger and more targeted it can attract them, the bigger the opportunity to build a sustainable fan base for the future. Today’s sports teams are about so much more than the sporting event itself. Games form only one part of an entire entertainment experience. 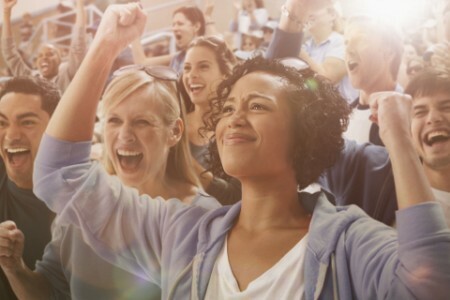 If sports franchises can identify who their fans are and what unique needs they have, franchises can invest their marketing dollars in personalized experiences that will attract and retain a new generation of die-hard fans, even as they build their new stadiums and arenas. The more identified fans they have, the more they are able to analyze data that drive the development of curated experiences, offers and products, resulting in a higher lifetime value of the fan. Similarly, the younger and more targeted the fan a sports franchise can attract, the bigger the total lifetime opportunity. If a franchise builds the relationship with youth now, they will be more inclined to spend their money on the team throughout their lifetime. The alternative is that today’s aging sports fans will diminish without a younger generation to take their place. There will be no one buying the season tickets or partial-season ticket packages upon which today’s sports revenue model is based, and sponsorship dollars will decrease, leaving sports franchises without fans or the vital revenue necessary to sustain their enterprises. To create fans of the future, sports franchises need to build a 360-degree view of their customers and deliver the right experiences when and where they want them. Sports franchises need to build for tomorrow rather than solely managing the needs of today. This means rethinking how the franchise is structured. Create a fan “center of excellence” that eliminates the current fragmentation among functions. Determine which functions are essential and which may no longer work for tomorrow’s fan. Establish key performance indicators (KPIs) and rigorously assess performance so that you can maximize sales and marketing spend. This begins by creating a unified system and repository for every piece of fan data the franchise collects through every channel, whether it’s at the ticket booth, on the phone, by email, through a website, partners or fan events. Then give fans a reason to want to give you the data — to authenticate who they are — whether it’s give-to-get data such as distributing trinkets at an event in exchange for an email address, or contests for unique experiences. The current revenue model is based on fans buying season tickets or multi-game ticket packages. Explore new opportunities to generate revenue. Consider selling experiences rather than products. This could mean a single ticket game pack that bundles food, beverage and swag into the price, or creating an opportunity for fans to attend only part of the game. Or, if a franchise owns the arena, including concert experiences. These experiences also need to be easy to find, personalized, and purchase or engage. Look to other industries that are transforming their customer experiences for ideas, such as entertainment, travel and hospitality and retail. Having the technology in place to gain 360-degree visibility into a customer’s habits and preferences allows sports franchises to serve up personalized experiences at the game — from mobile or facial recognition ticketing, to ordering food from your seat, or ordering food in advance and skipping the line to pick it up, to delivering location marketing, to offering discounts for future games while they’re in their seat watching the current game. These multiple touch points create opportunities to turn a one-game patron into a loyal lifetime fan. They also allow the sports franchise to collect valuable data about their fans that they can use for more targeted sales and marketing campaigns. Change can take time. Consider a phased approach that develops capabilities and realizes quick wins early, while building a multiyear engagement strategy. Attracting and retaining a new generation of fans to generate sustainable revenue requires understanding who that fan is and what he wants. To get that 360-degree view, sports franchises need data — and lots of it. They need to break down the siloes within the organization and use the data they gather to create personalized experiences that fans want to buy. Sports franchises may also find they need to go beyond the four walls of an arena or stadium, using digital technology to drive fan engagement 24/7. It’s time for sports franchises to change. But given the entrenched nature of today’s sports operating models, change takes time. A phased approach that allows sports franchises to develop the capabilities, realize some quick wins early, and build a long-term fan engagement strategy that delivers a lifetime of value — is the best way for franchises to win for years to come. Tweaking long-standing business models won’t be enough to lure back sports fans. Teams must change the way they think about fan engagement.